Weave the Line bring us 265 tricky levels to solve, which is a lot of levels but no worries, time flies when you’re having fun. For these Weave the Line walkthrough there were quite a few where we got really stuck. If that’s you right now let’s get it done, shall we?. Simply select your level in our list bellow. 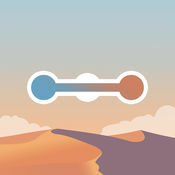 A bunch of fun packed on this app, Weave the Line has that secret ingredient that makes games highly addictive, and its flawless performance conceive this very smart and fun experience through each and every level of the game. How many levels are in Weave the Line? Currently there are 265 levels. All 265 of them, simply pick the level from our list above and enjoy the complete Weave the Line walkthrough. Yup, Weave the Line is a pretty cool game app. It has ads but they aren’t too intrusive. Well, graphics and colors are smooth and pretty, performance is a solid 10, and levels are challenging enough to keep you hooked till the end. Mechanics on Weave the Line are very intuitive, with simple movements you’ll achieve everything you need easily. Are you stuck on a level of Weave the Line? You’re in the right place then, check out above our extensive list of Weave the Line walkthrough with every level solution and complete video walkthrough. Simply locate your level on the list, repeat the movements on your device, and get it done easily.